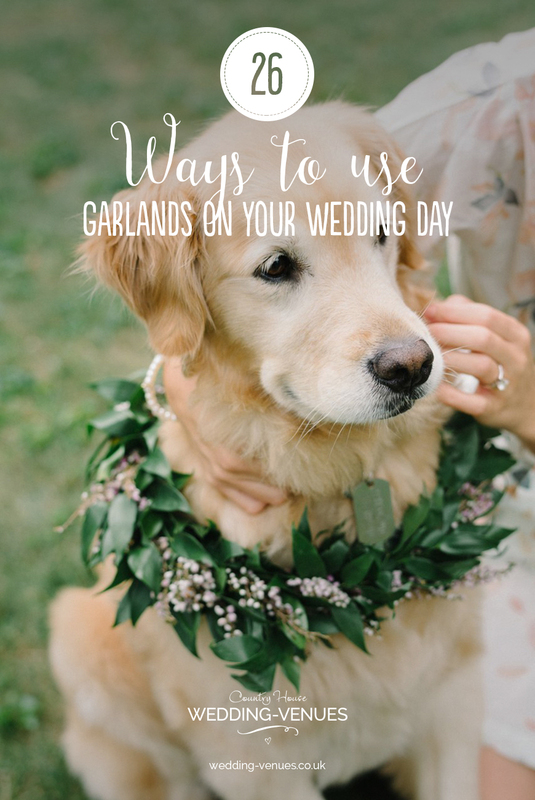 Take a look at all these gorgeous ways you could use garlands to decorate your wedding. 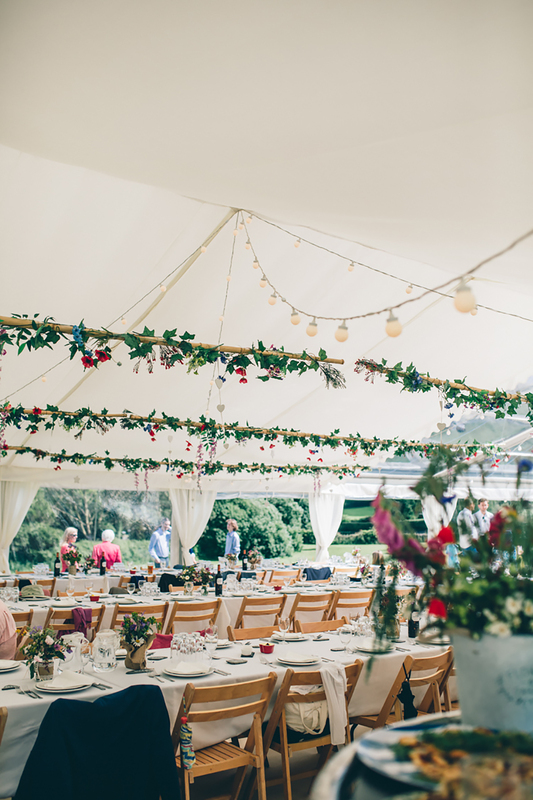 There are so many reasons why we absolutely love wedding garlands. These beautiful swags bring instant style to your day and you can create a garland to work with any theme. 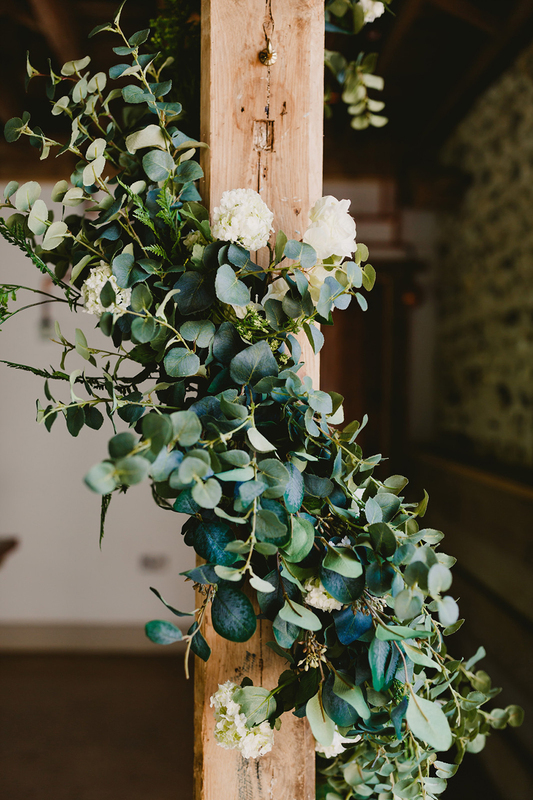 Garlands at weddings also create real impact, high details and you can craft them from wedding flowers or create them yourself. In short, wedding garlands are the perfect wedding decoration for any season so get set to pin as we share our favourite ideas. 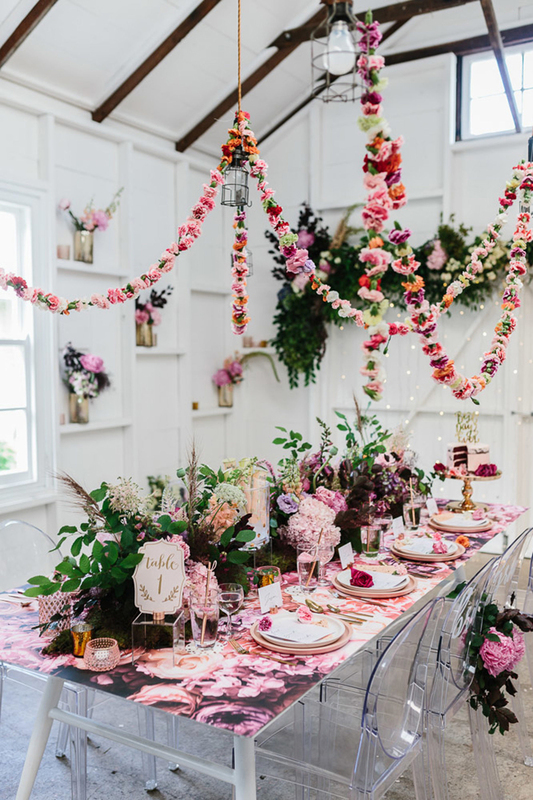 Embrace the trend for suspended florals with simple summer garlands above your tables. 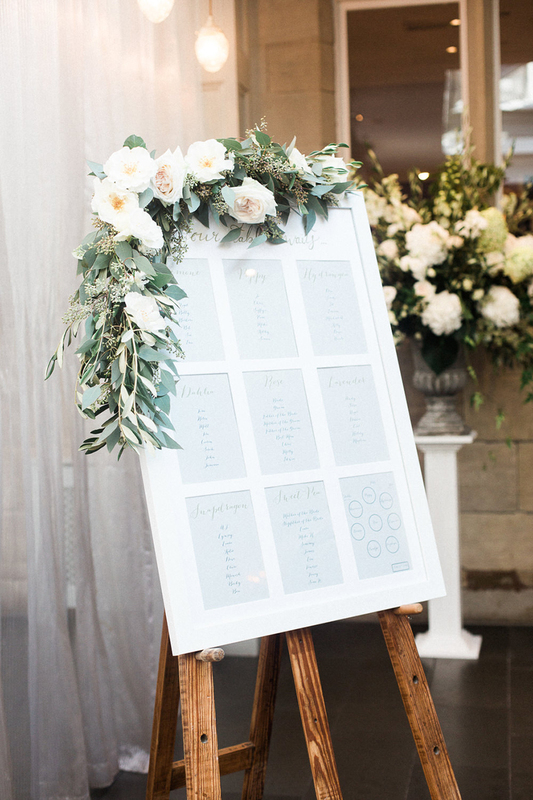 Use a little garland to bring instant beauty to your table plan. Decorate your outside bar area with a gorgeous garland – this could be moved inside later in the day to decorate your evening bar too. 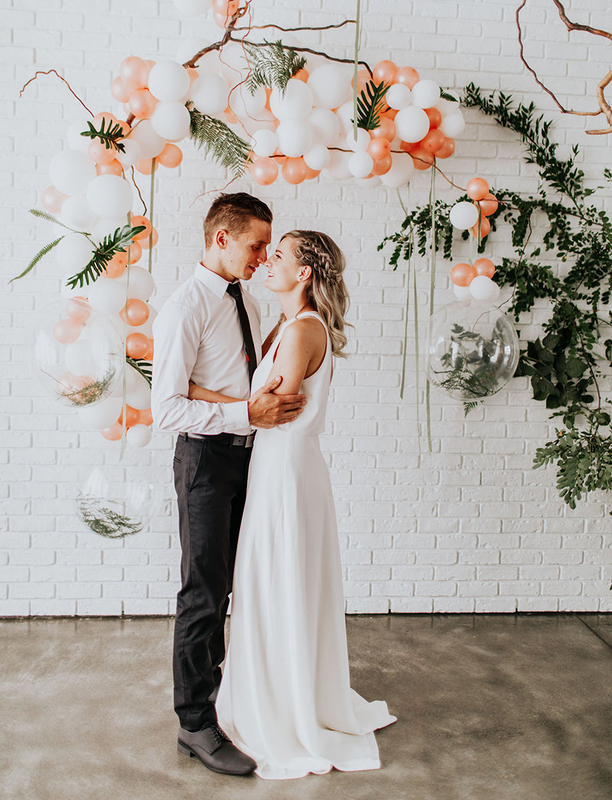 Garlands don’t have to be made from flowers and these tassel garlands are a great wedding DIY. 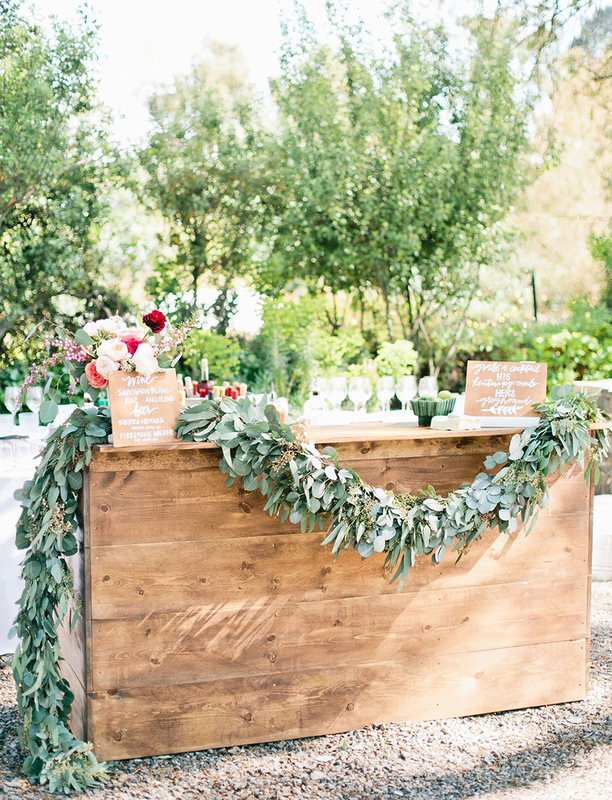 Faux greenery wrapped around wooden pillars looks amazing if you’re hosting a barn wedding. Add a couple of fresh flowers if you like or fairylights for evening beauty. 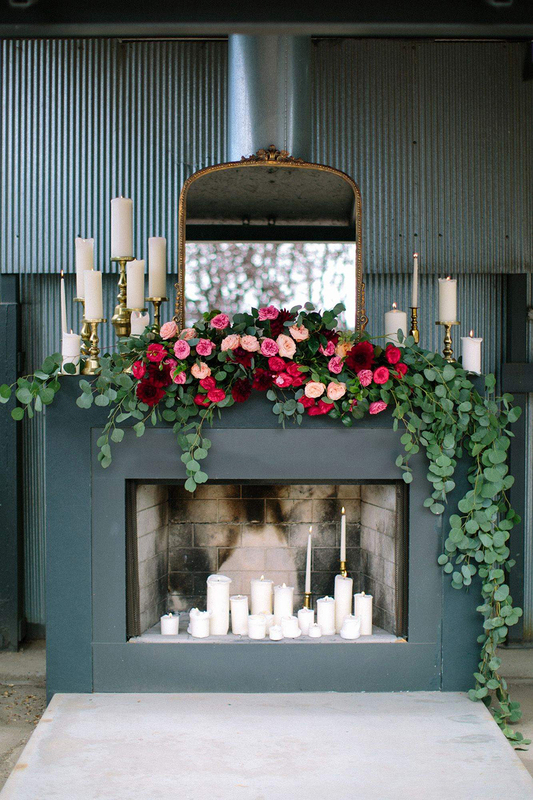 Add seasonal details to your garlands for extra impact. Fresh fruits always work really well! If you want to be sure that you arrive (or depart!) 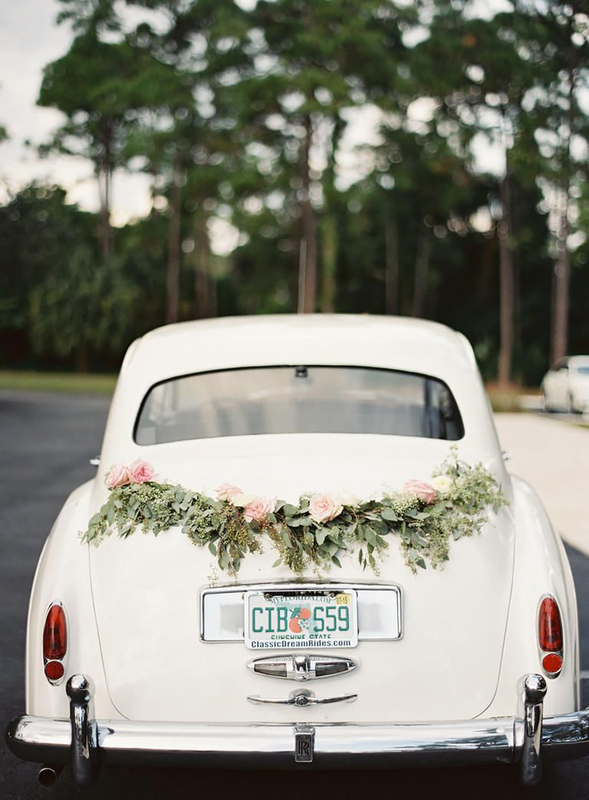 in style, why not add a pretty garland to your wedding car? 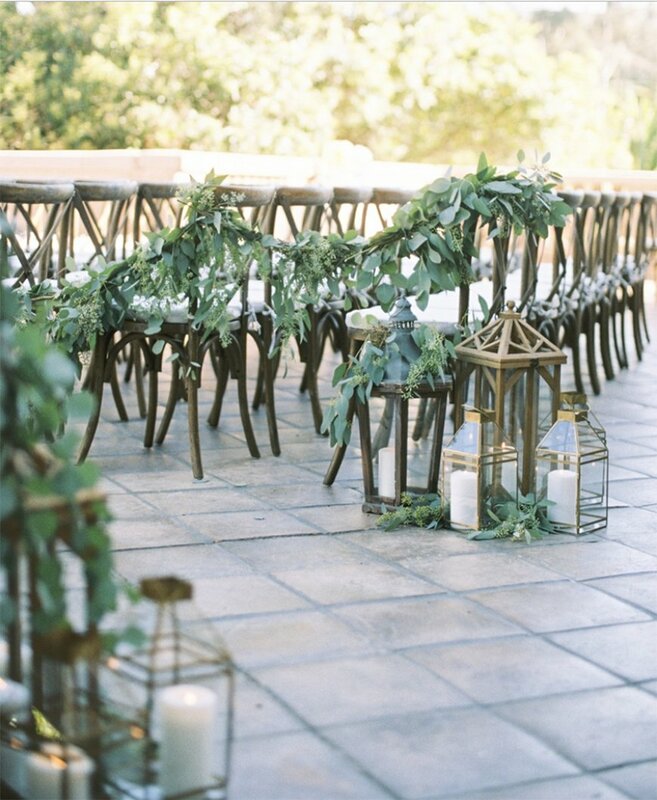 Line your aisle with a garland of greenery and fresh wedding flowers. This is another detail that could be moved to decorate your evening reception. 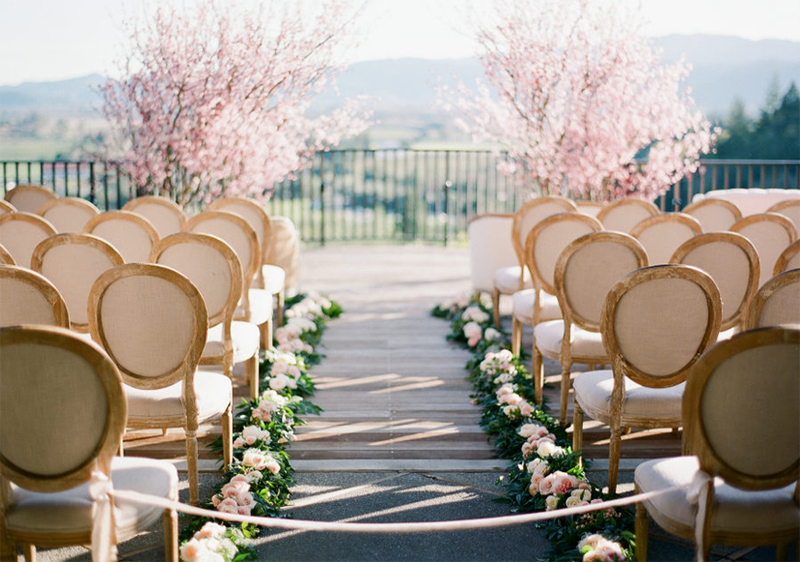 Wedding garlands don’t have to be big to be beautiful! 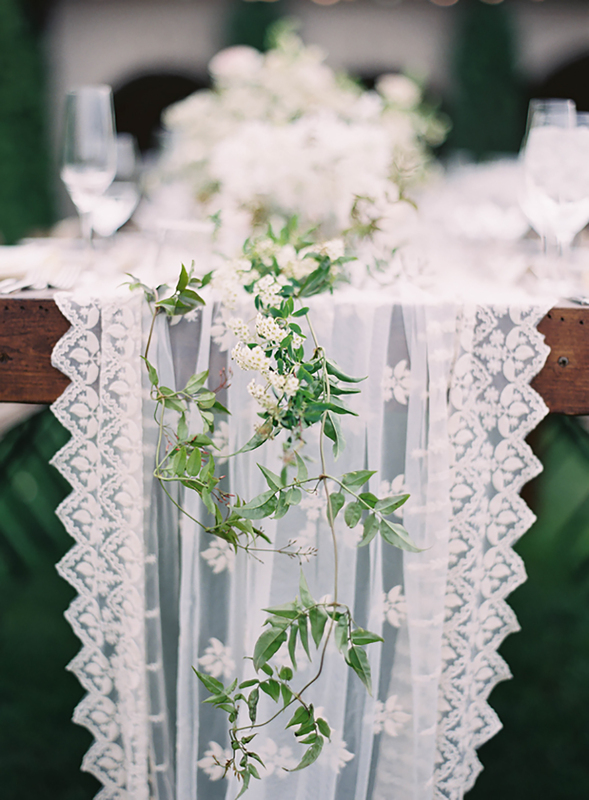 This super delicate garland looks amazing on top of this pretty table runner. 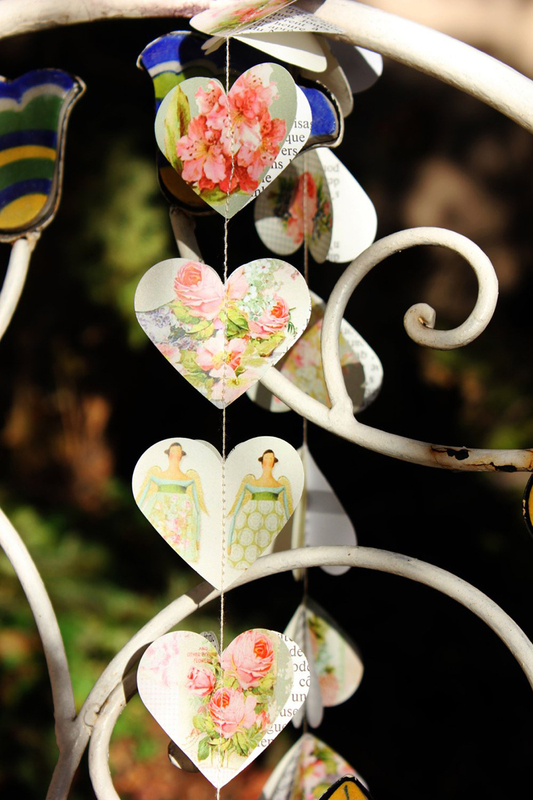 Gypsophilia makes such a pretty garland for a spring wedding and adds instant romance to your décor. Wow! 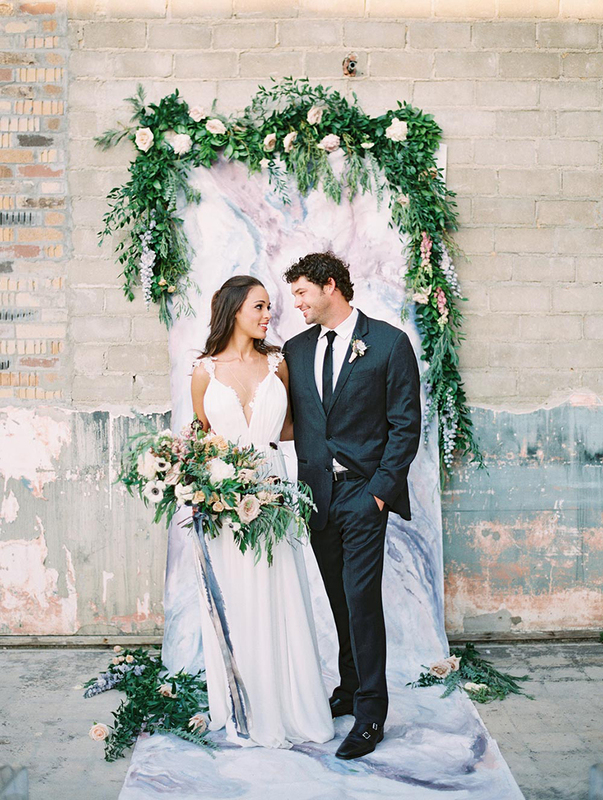 Garlands made solely of flower heads add so much brightness and impact to this statement wedding look. 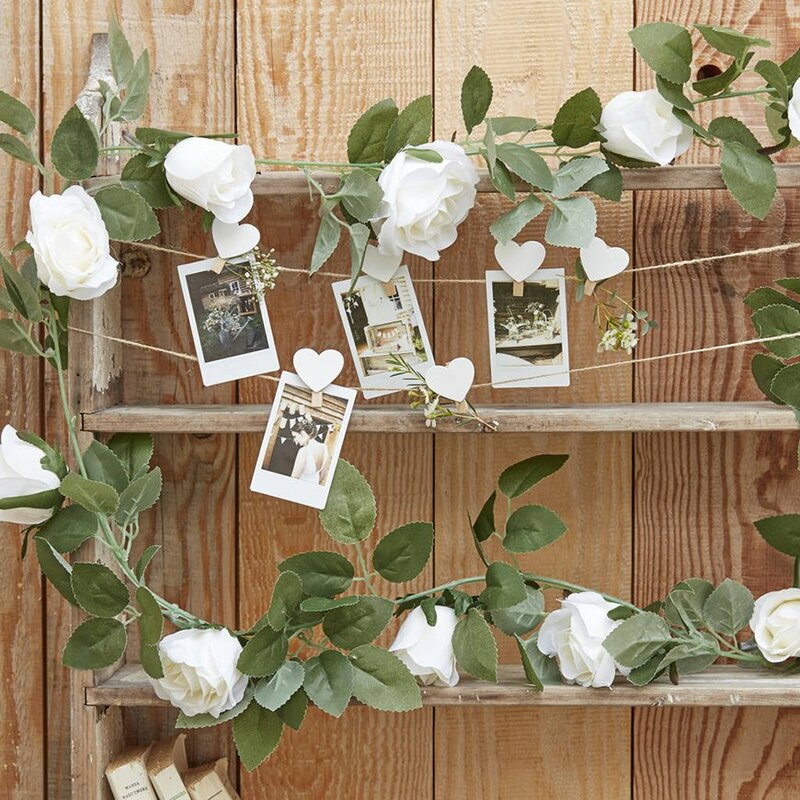 For a super personal wedding garland, make your own with all your favourite photos. 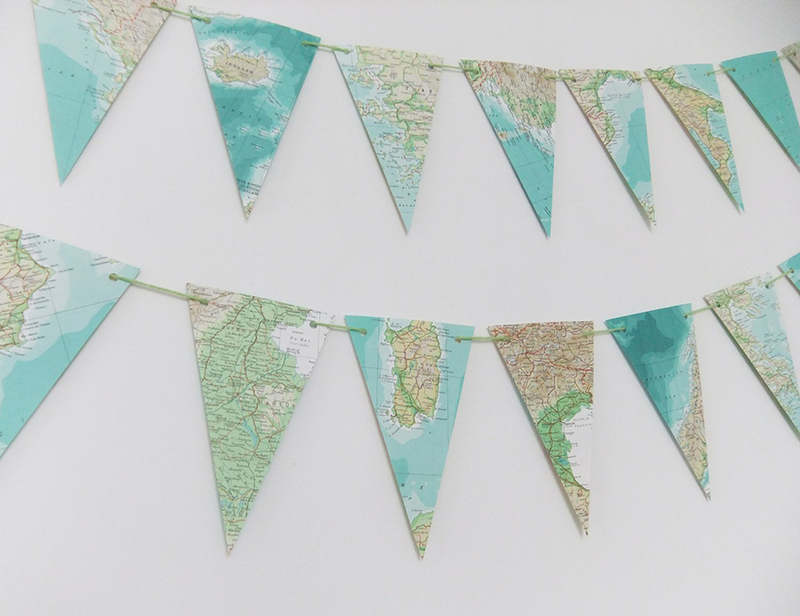 A travel-themed wedding always needs maps and garlands made from maps couldn’t be better! In the colder months, what could be better than a feature fireplace? 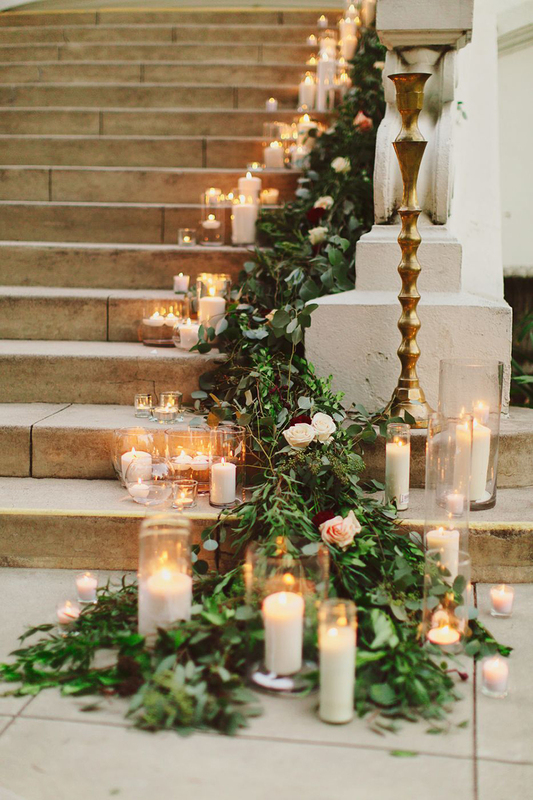 Add candles and a gorgeous garland with richly coloured wedding flowers. Garlands that fall to the floor from the seats in your ceremony bring a really seasonal touch to your aisle. We love the addition of simple candles too. 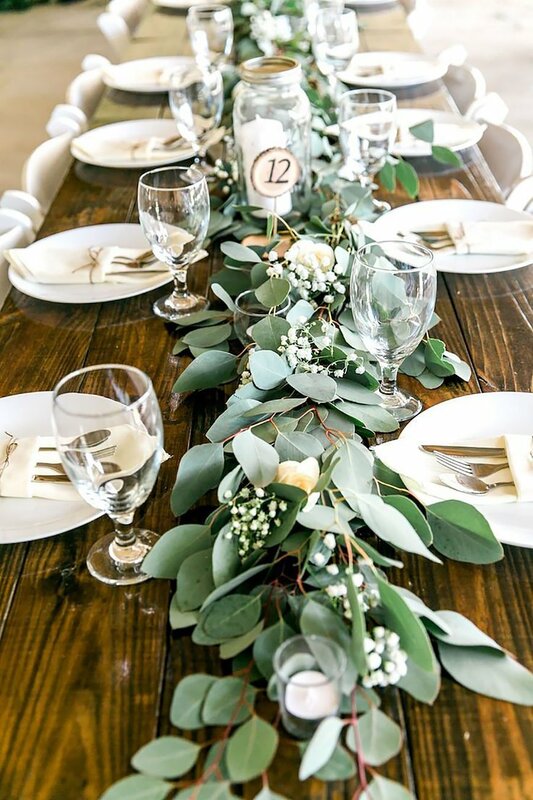 A beautiful garland along a long table is a perfection decoration. 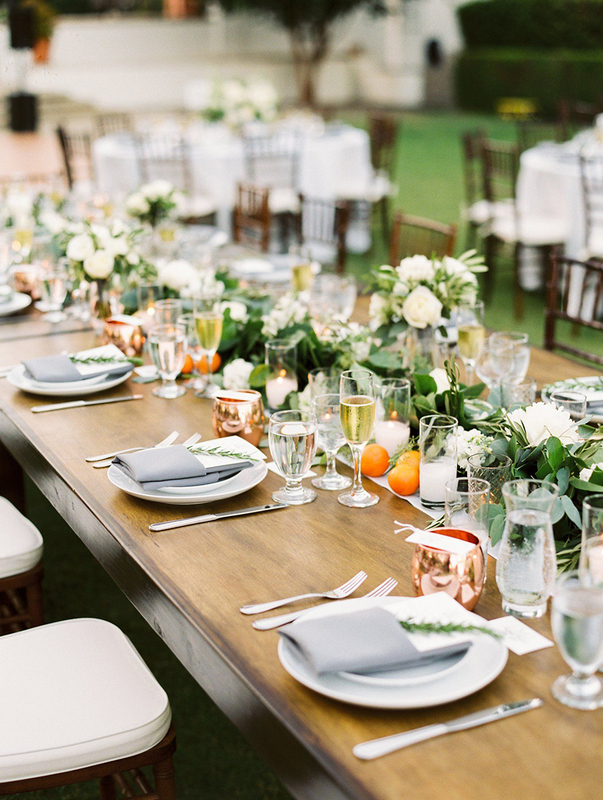 Your guests can chat easily and the greenery adds just enough colour. 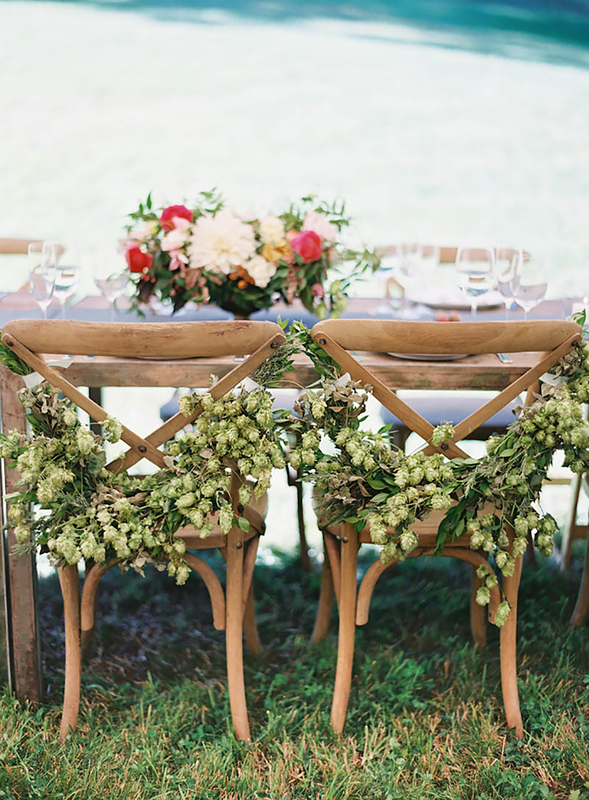 Garlands that adorn your chairs for the wedding breakfast are a great detail and in autumn, these hop garlands would be perfect. 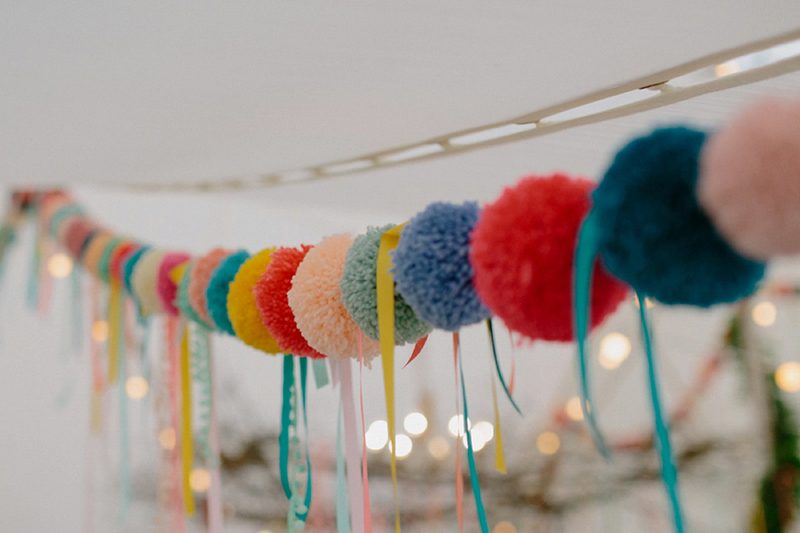 For a cosy yet colourful garland, make lots of lovely woollen pom poms and create your own wedding garlands. We love the trailing ribbons too! 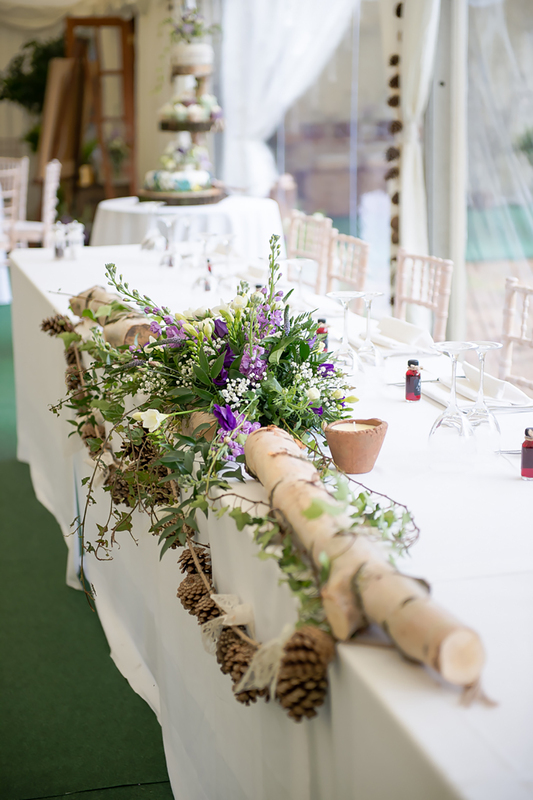 Make a seasonal garland from fir cones to decorate your top table – what could be better for rustic weddings? 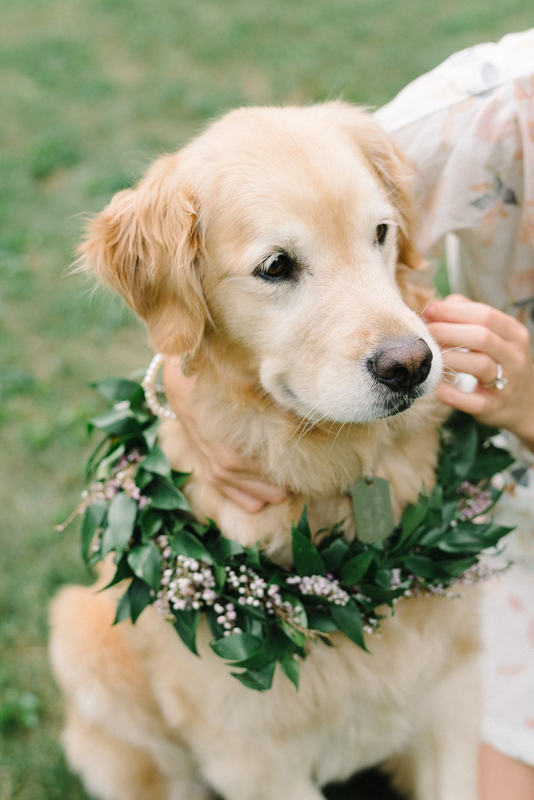 If your four-legged friend is going to be a wedding VIP, swap their everyday lead for a floral garland! 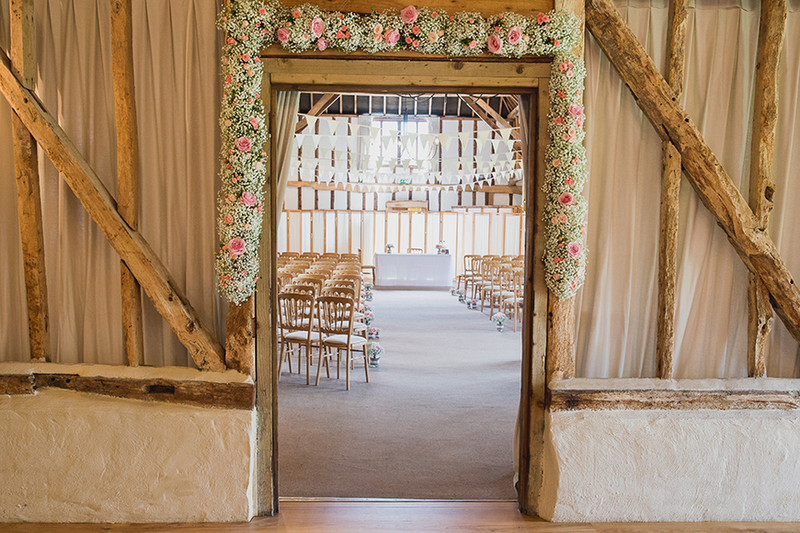 Create a beautiful backdrop for your ceremony or for photos with a rustic garland. 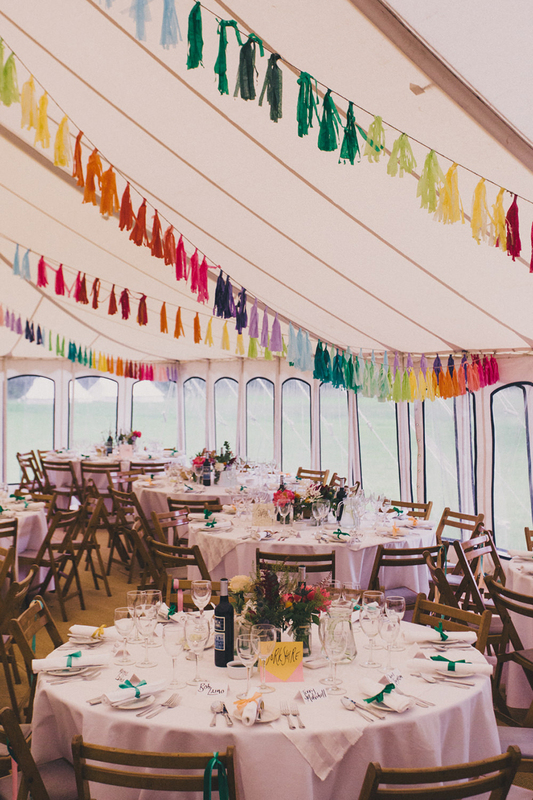 For a modern twist on the traditional floral garland, why not opt for balloons instead? 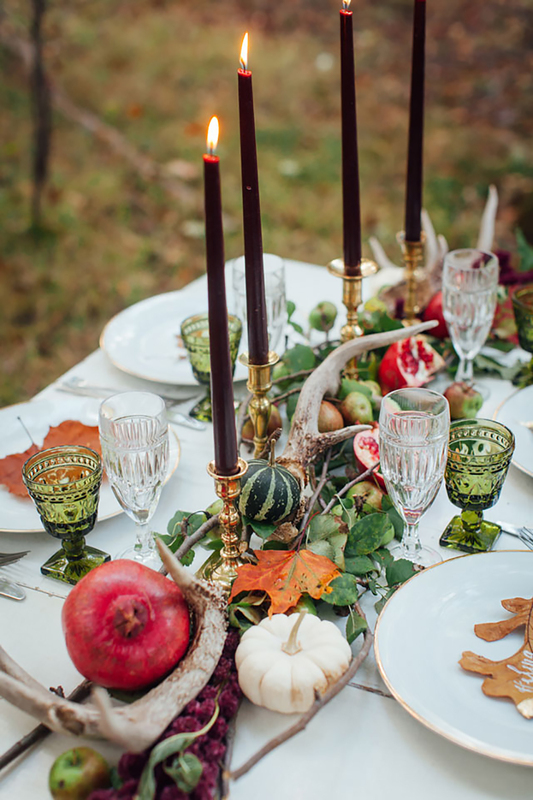 Garlands don’t have to be made from flowers or foliage – how about leaves and fruits for an autumnal look? If you’re looking for an alternative to flowers in the winter months, garlands made from beautiful books or even gorgeous lengths of wrapping paper look absolutely stunning. Don’t forget the cake! 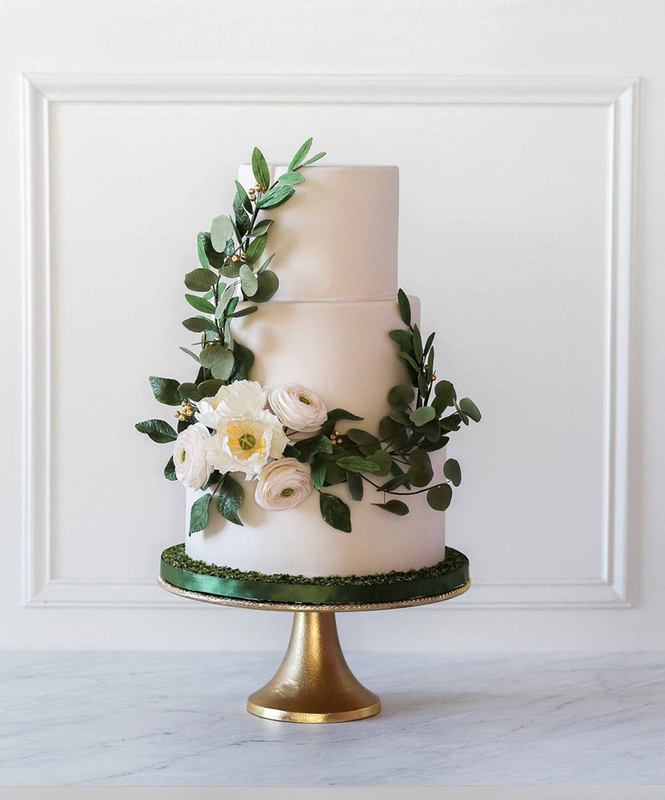 Even the simplest cake looks all the prettier with a foliage garland for decoration. For more fabulous wedding decorations ideas, take a look at these wedding balloons that will blow you away.